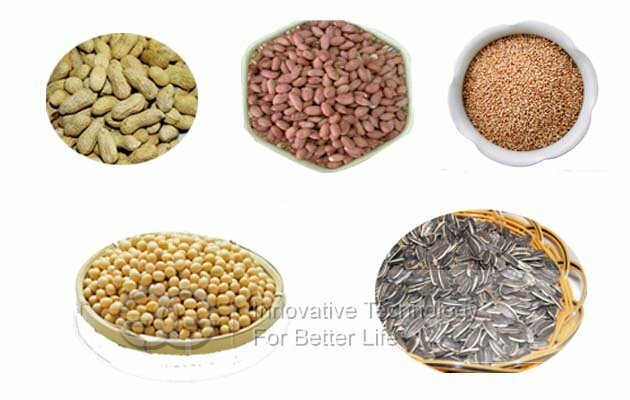 Mainly used in roasting sesame, peanuts, beans, beans, seeds, nuts, dried and roasted nuts and other products. 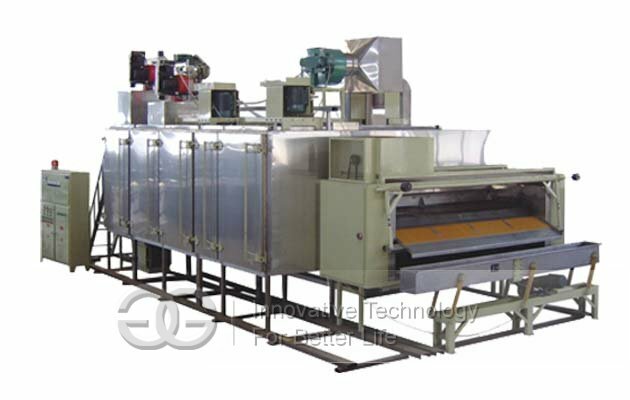 High efficiency, low consumption, reasonable heat distribution design, high degree of automation. 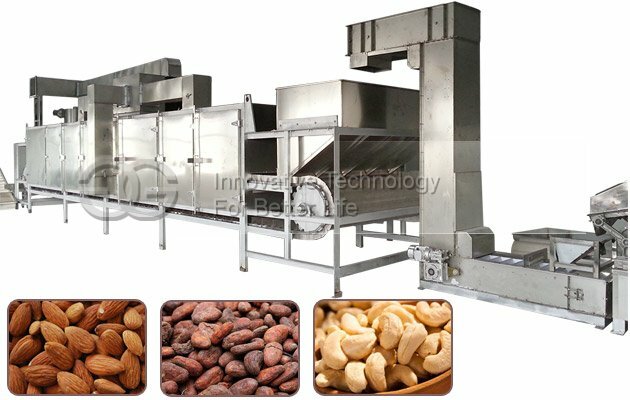 Continuous Nut Roaster fits for low temperature drying and high temperature baking peannut and other seed products, heat supply is divided into LNG and steam type,It's our solutions important part. 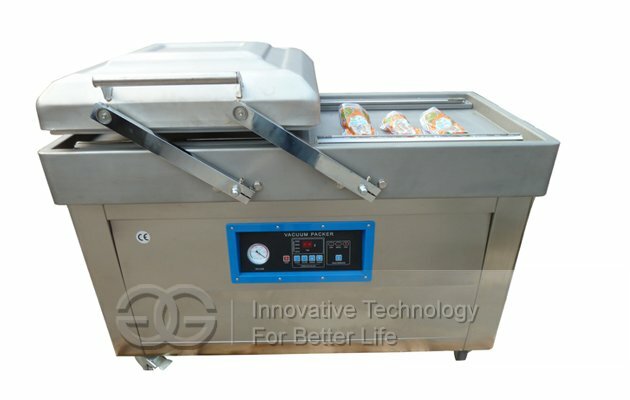 Originally set temperature of oven can be regulated via regulating proportional burner controller and parameter of electric steam valve at top of oven so that low temperature drying and high temperature baking can be finished. 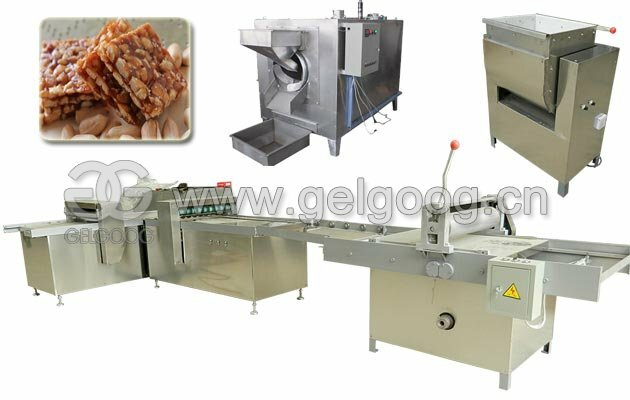 Multifunctional oven is composed of feeding part, baking part, cooling part, discharging part and vibration screen part. Different areas are insulated for minimum heat loss and lowest running cost. 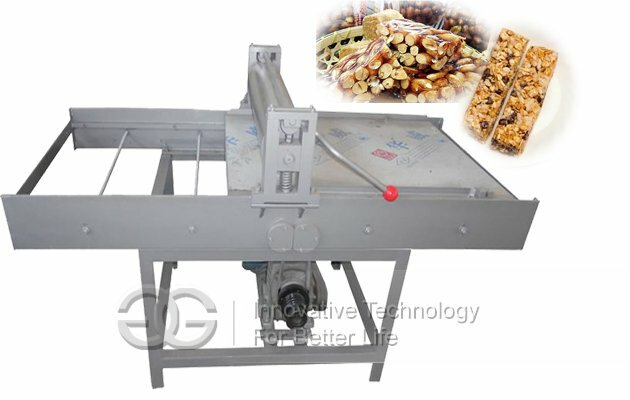 This roaster machine is used for peanuts, sunflower seeds, pumpkin seeds, cashew nut, house beans, almond,walnuts,hazelnut,Pistachios,pine nuts,pistachios etc. 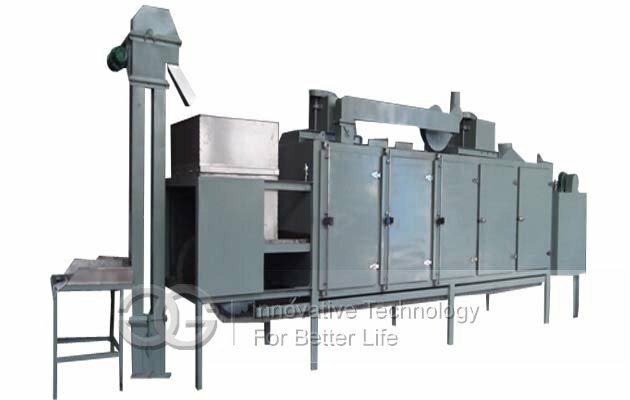 The design has realized the recirculation of roasting air and decrease the energy consumption. 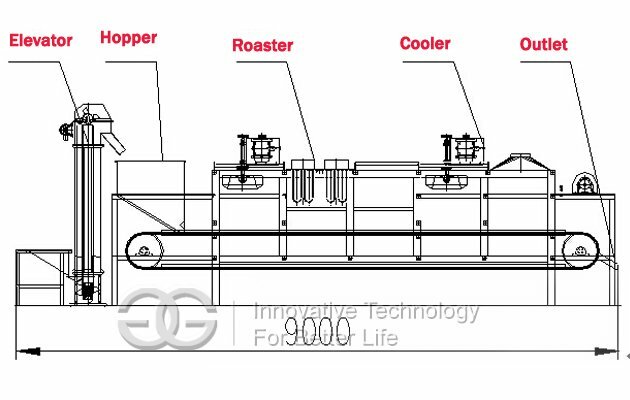 3.It has integrated cooling system to prevent the over-roasting and keep the nuts at the optimum condition. 4. 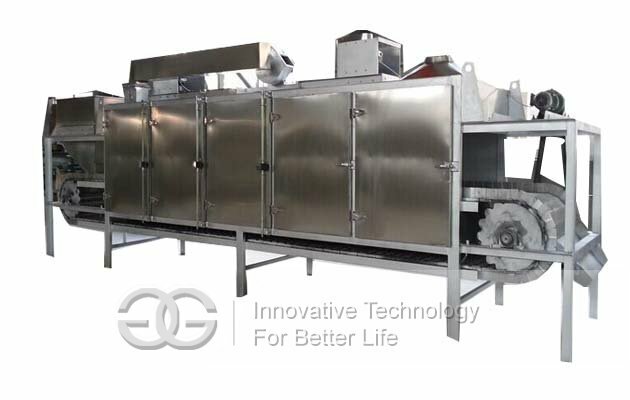 It has facility designed to realize the recirculation of roasting air.hence decreases the energy consumption. 5.Every door on both sides can be opened for easy cleaning. 6.Different areas are insulated for minimum heat loss and lowest running cost. 7. High degree of automation, thermostats, heat can be by electric, gas heating other heating methods. 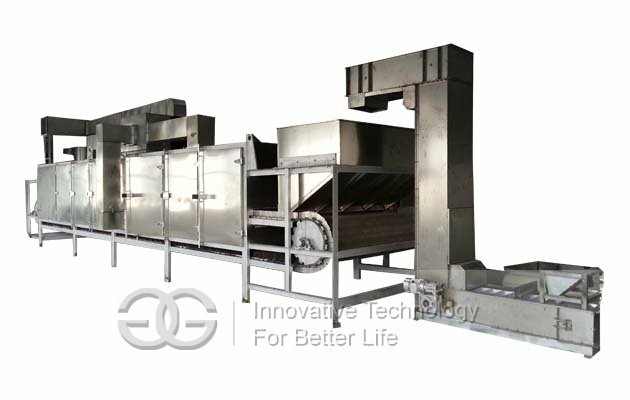 Using a circulating fan heat exchange to achieve strong airflow bake, bake improve efficiency, increase baking quality. --We have operation manual and video on your request. 2.How should I do if meet some trouble while using? 3.Are you a manufacturer or trade company? 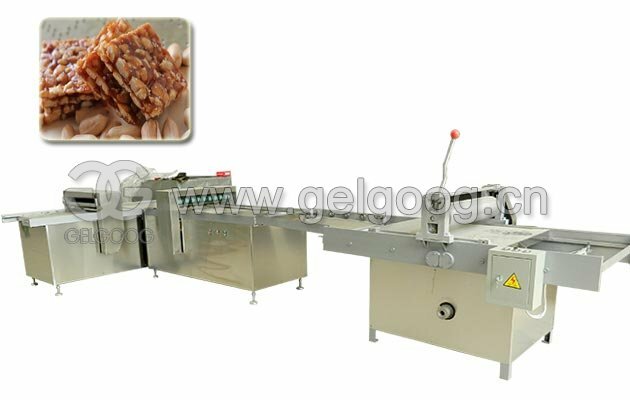 --We are professional manufacturer and supplier. 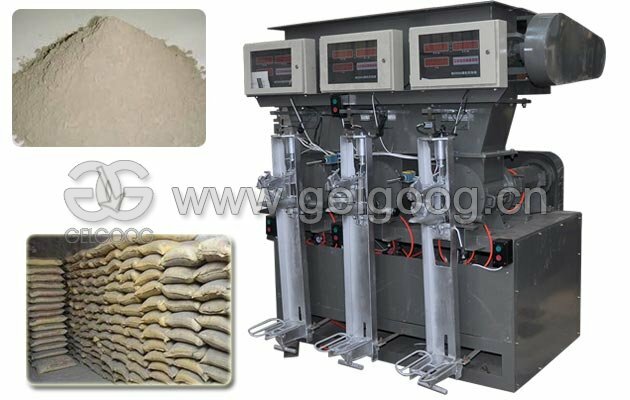 Our company GELGOOG engaged in a wide range of machine business,we provide best quality machines and solutions for global users in Food Processing Machines,Packing Machines,and Other Machinery Fields.From The Single Machine To The Automatic Product Line ,From China To The Whole World. 4.Can I Visit Your Company? --We Have Exhibition Hall In Zhengzhou City,Welcome To Visit Us To Examine The Quality And Negotiate Our Business! 5.Can I get a best price? --Quality is the heat of one company.We can not promise the lowest price,but we promise the best quality and most reasonable price.On the other hand,bigger order you placed,cheaper price you will get.